The Stonemasters Climbing In Yosemite "The Golden Years"
So, you got a swegway last Christmas, or maybe even the year before. After whizzing around hands-free for a few weeks (and possibly gaining some bruises and scrapes along the way), your balancing board is now sat in a cupboard, gathering dust because it just doesn’t seem as fun anymore. Sound familiar? Well, dust off your knee pads because the warm weather is coming and it’s time to put those wheels to good use. 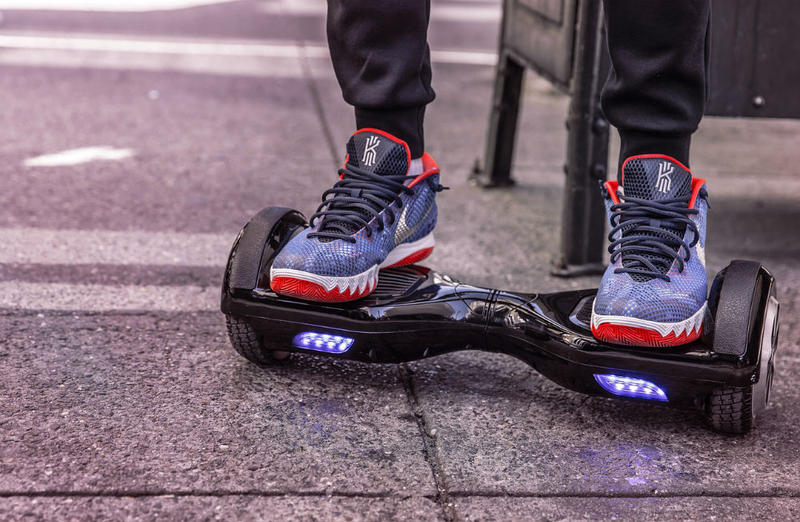 Here are six simple steps for bringing the buzz of hoverboarding back into your life. Just because Xzibit no longer graces our screens doesn’t mean you can’t deck your ride out in style. Yes, I realise as I write this that most hoverboard riders will probably be too young to get that reference, but nevermind. My point is, despite being a fairly compact vehicle, there are heaps of options for customising your hoverboard. Brightly coloured vinyl stickers, bespoke skins and bumper pads are quick, inexpensive ways to transform your board into an extension of your personal aesthetic. Once you’ve customised your board, get yourself a hands-free way of filming your outings. Even if you’re not doing mad hoverboard stunts and just rolling around town, you never know what can happen. 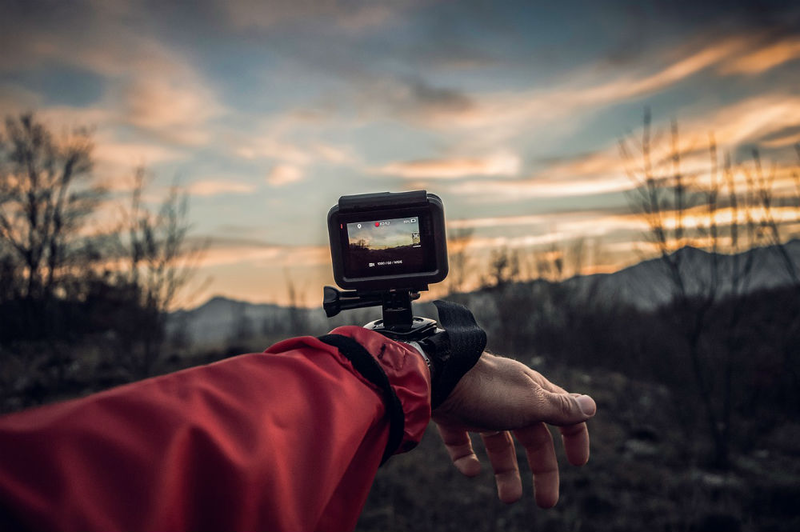 GoPro is obviously the best-known action camera brand on the market but there are plenty of budget-friendlier options from Garmin, Sony and TomTom as a starting point. Your board looks slick and your camera is ready; now you just need to get outside. If you’re feeling a bit rusty then start by upgrading all of your most tedious outdoor chores with the help of your board. Supposed to take the bins out? Use your wheels. Need to help take the shopping out the car? It’ll take half the time when you hover. The dog needs a walk? 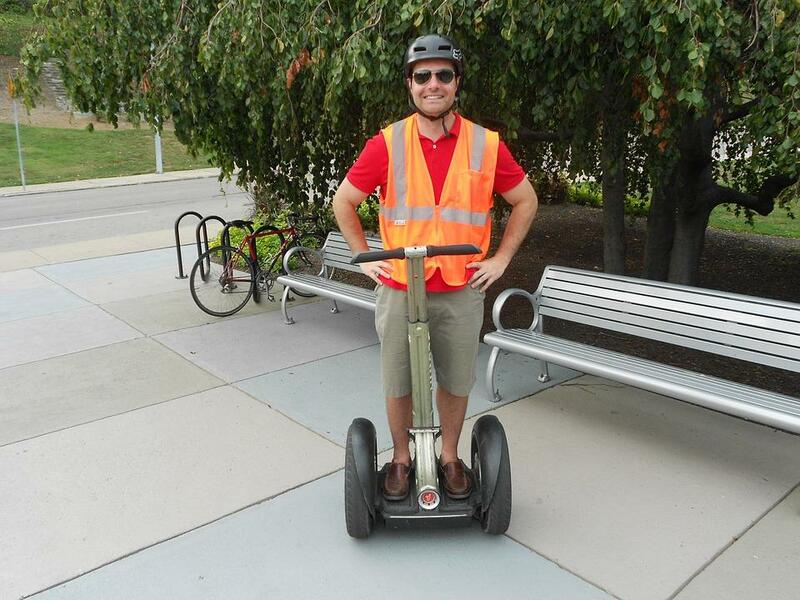 Well, you don’t – grab your swegway and you won’t have to take a single step. When you’ve got the hang of balancing again, up the ante by incorporating your board into more areas of your life. Your fitness regime, for example. Yoga might seem like a stretching snooze-fest, but get your balancing board involved and it becomes a whole new challenge. See this guy as an example (and once you’ve watched it, please explain how he’s not vomiting). The fact is, hoverboarding is much more fun with friends, even if they can’t pass as a 1D tribute band. Hoverkart racing is just about the most fun you can have on three wheels and the frame makes your balancing much easier even the wobbliest of boarders. 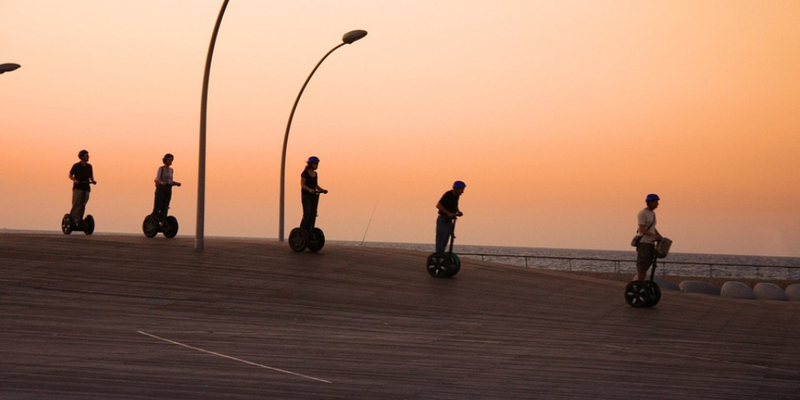 Set up a swegway slalom in your back garden or create a track at a nearby park and get a tournament going. If you really can’t get motivated to use your board again, maybe you should let someone else have it. Surely you have younger siblings or cousins that would love to borrow (or inherit) your board once you’re done with it? Well, tell them it’s tough luck. When we say that you should let your disused board go to a deserving family member, we specifically mean your dad. In case you missed it, first wave of Christmas hoverboards caused a surge of #hoverboardfail videos, featuring past-it dads that simply couldn’t keep up with their kids. If you need your memory jogging (or want two minutes of laughs), take a look at these morning TV hosts chortling over dad-wipeouts. Now, obviously we don’t want your dad to actually get hurt (some of those injuries looked pretty intense) so make sure you also give him some elbow pads and maybe some cushioning… before you start filming.